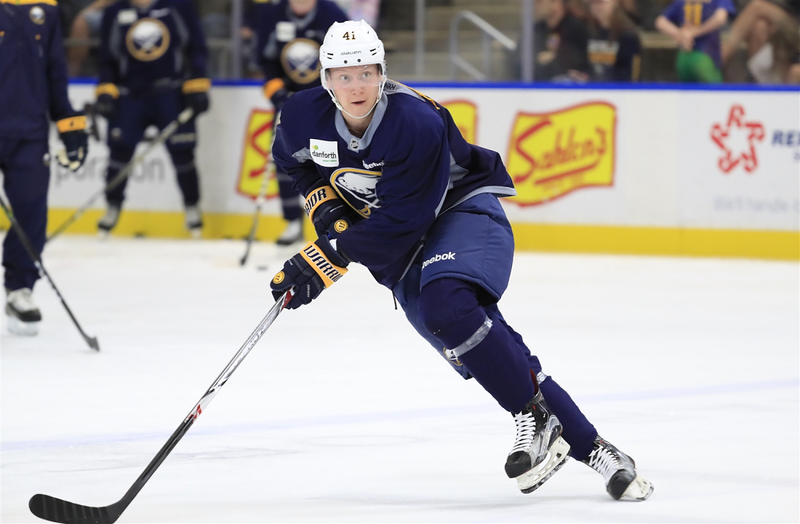 Buffalo Sabres prospect Vasily Glotov scored one goal Monday for the ECHL’s Western Conference during the annual all-star game in Toledo, Ohio. Glotov, who plays for the Cincinnati Cyclones, participated in all three of the Western Conference’s events during the 3-on-3 tournament. He finished with a plus-minus rating of plus one. The Eastern Conference won the all-star competition by beating Team Fins 2-1 in a shootout. The Western Conference finished third in the event with 10 goals. Glotov had the opportunity to win an additional three goals for his team by capturing first in the accuracy shooting contest, but finished third by hitting just four targets on 16 shots. The 2016 seventh-round pick has 25 points through 37 games for the Cyclones and appeared in one game for AHL affiliate Rochester this season.